Your first visit is a 30 minute appointment which will allow us to gather some information and perform a clinical examination. 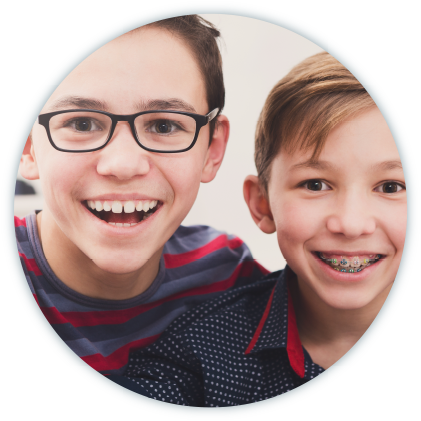 When you call to schedule this appointment, you will be asked to provide some personal information, along with any orthodontic insurance coverage you may have so that we can verify your benefits prior to your visit and provide you with the most accurate estimate. Once Dr. Wazio has completed his clinical examination, a recommendation will be made as to how to proceed. If treatment is indicated, an approximate estimate of the time and fees involved for the specified treatment and any insurance benefits will also be provided. The next step is to gather the appropriate diagnostic records (which includes x-rays, photographs of the face and teeth, impressions of the teeth and bite, and a complete intraoral and extraoral examination). Provided there is no other pending dental work (fillings, extractions, etc. ), most times this can be completed as part of the initial visit. Patients who do not require treatment at this time will be asked to return for periodic follow up examinations until such time as treatment is indicated. In either case, a letter will be sent to your general dentist summarizing the results of the visit for their records.